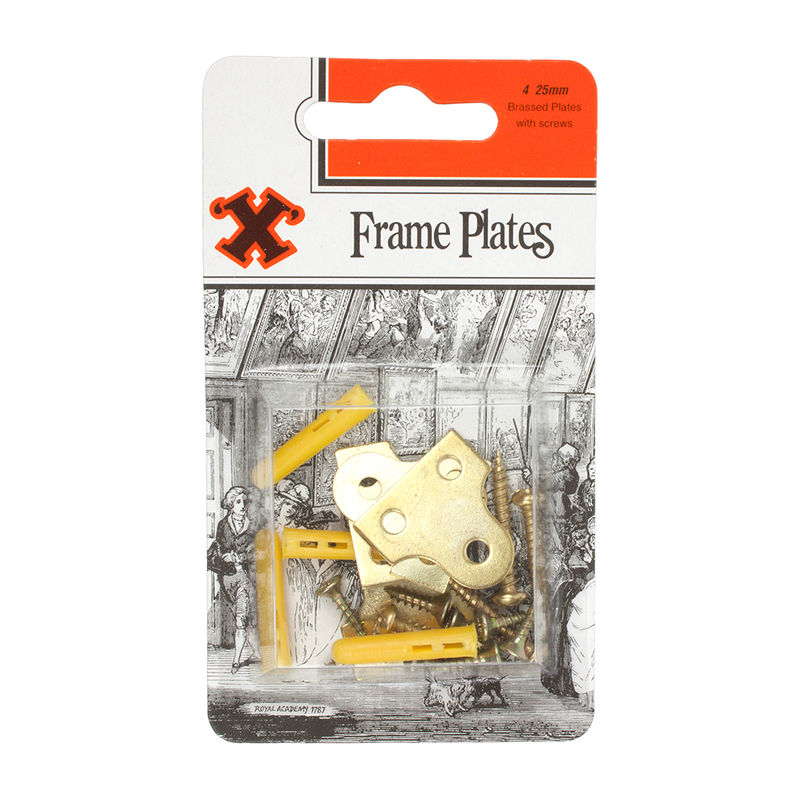 Give your creations that final finishing touch with our range of framing accessories, designed to answer your picture hanging needs. This pack contains 4 25mm small brassed frame plates with screws. These sturdy plates will help keep your pictures level and secure; ideal for artwork displayed in public rooms or busy hallways.